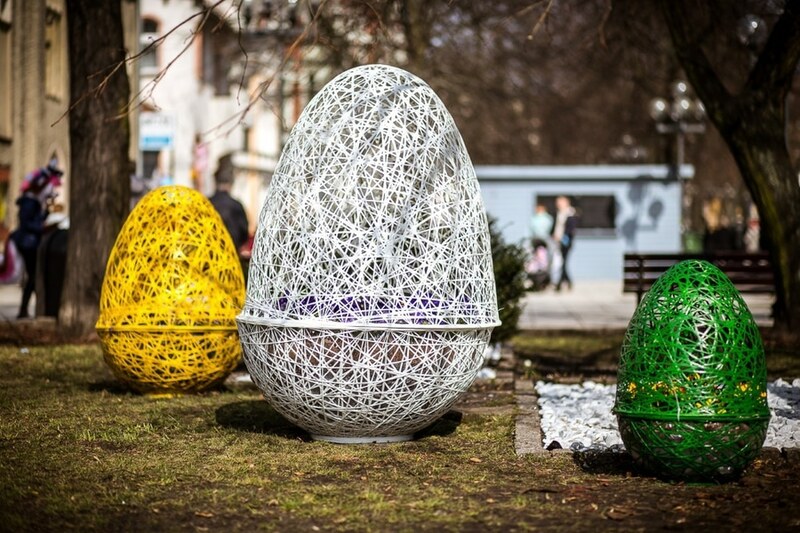 Openwork eggs, foreshadowing Easter, change week after week. 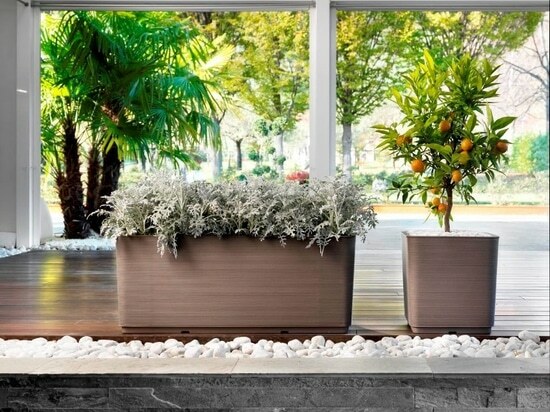 First, they become classical decorations and then they are opened to present the flowers inside of them. 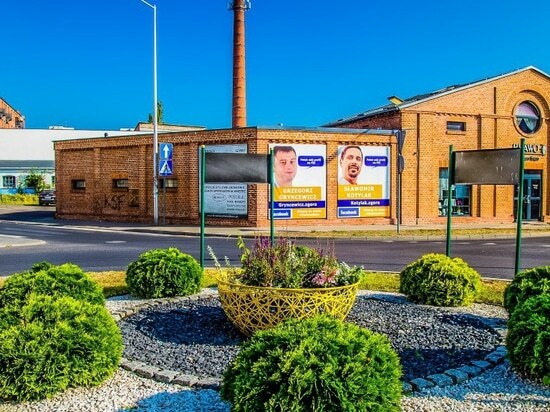 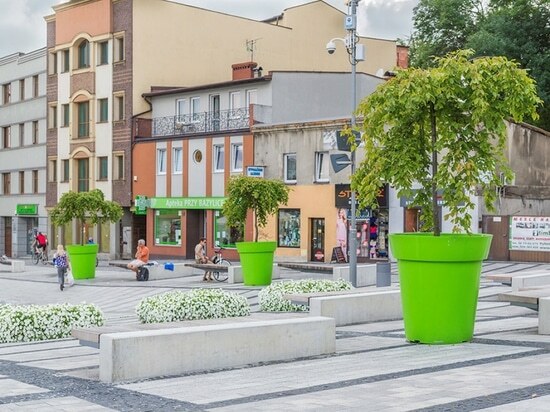 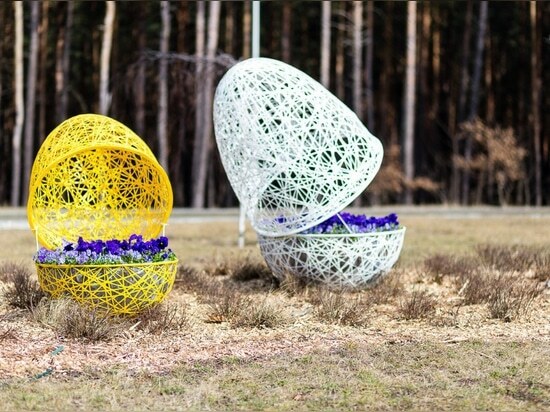 The end of the Easter period does not mean the end of subtle decorations as they can easily transform into beautiful color flower containers. 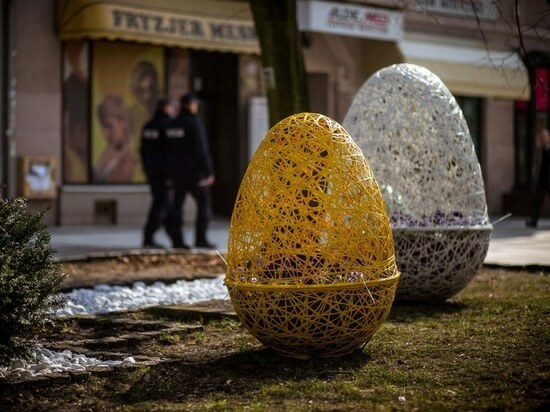 Already in March some seasonal decorations may appear along the pavements and squares, reminding the citizens about the upcoming Easter and spring. 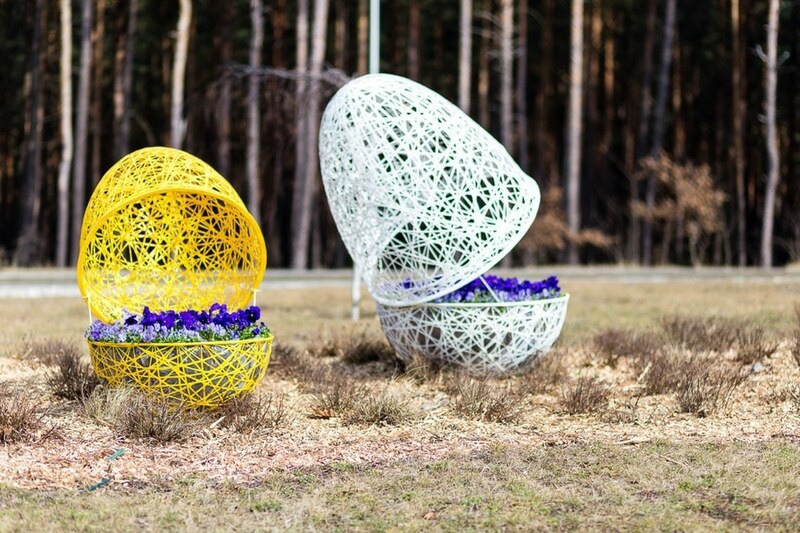 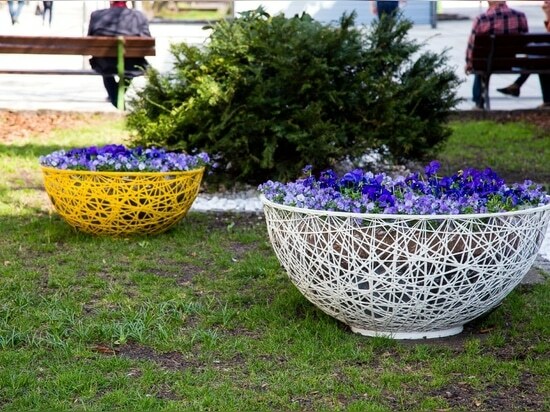 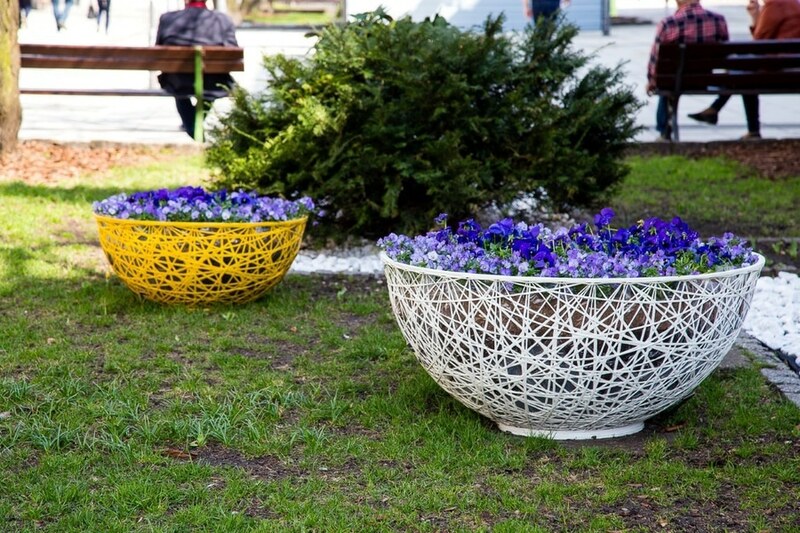 Just before Easter, openwork eggs can be slightly opened to show the hidden color Pansies – the bottom part of the decoration, after being lined with agrotextile, turns out to be a perfect flower bowl! 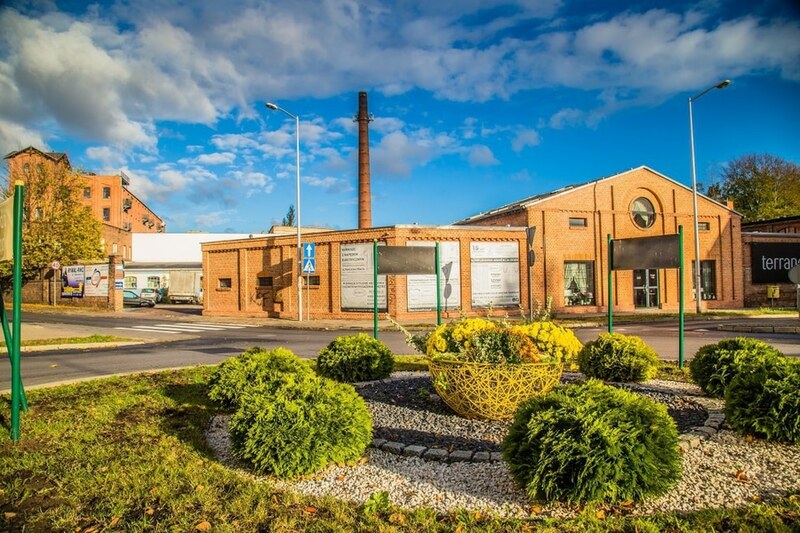 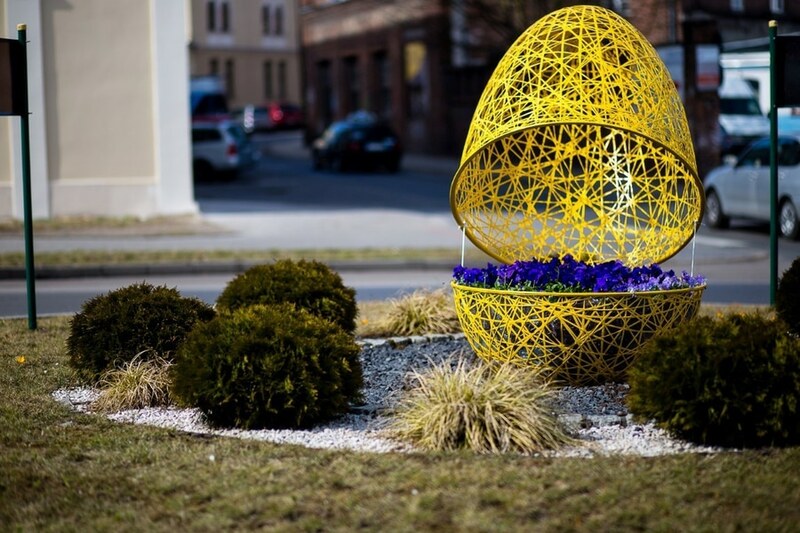 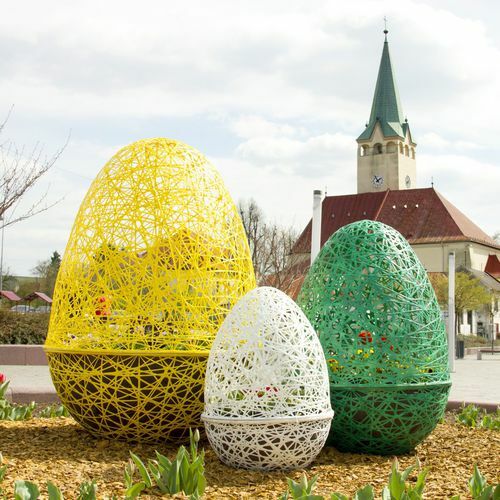 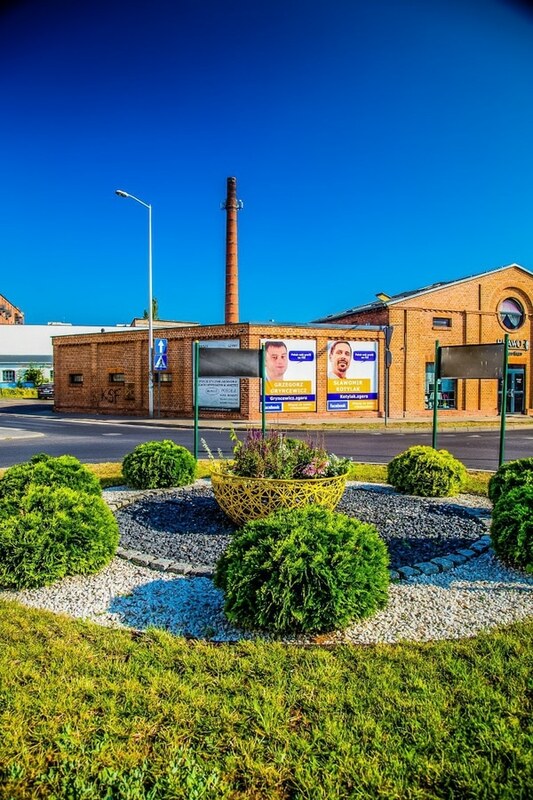 After Easter the openwork decorations do not stop playing their role – after removal of the upper part of the Easter egg, their base becomes an individual plant container. 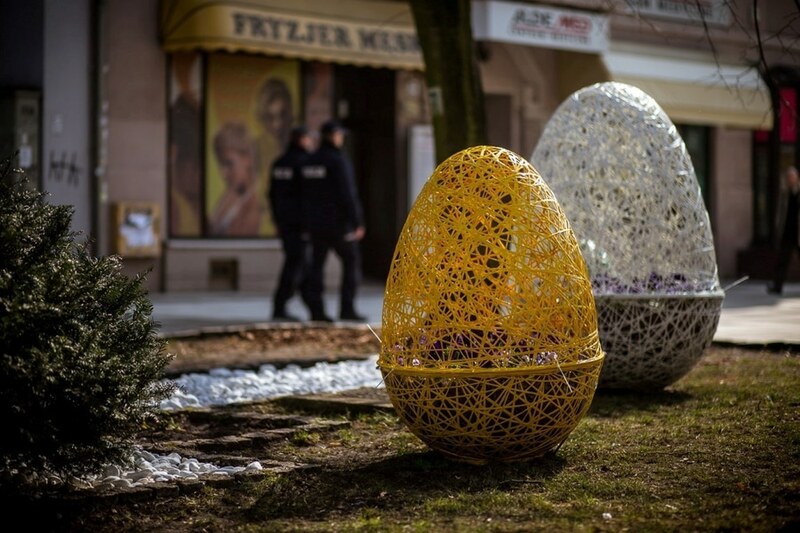 The biggest advantage of the openwork decorations is their functionality – XXL Easter eggs may change in order to adapt to the various weather conditions. 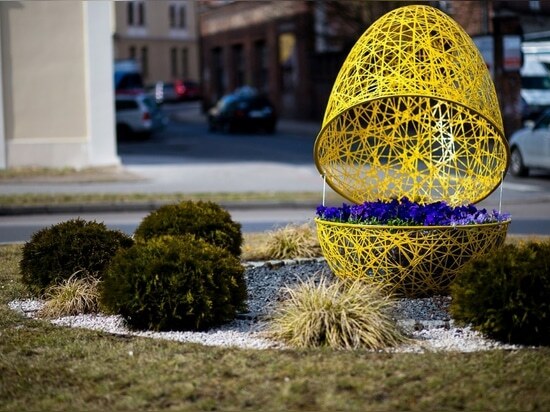 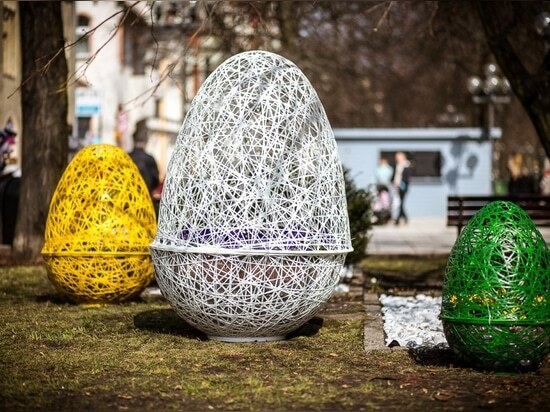 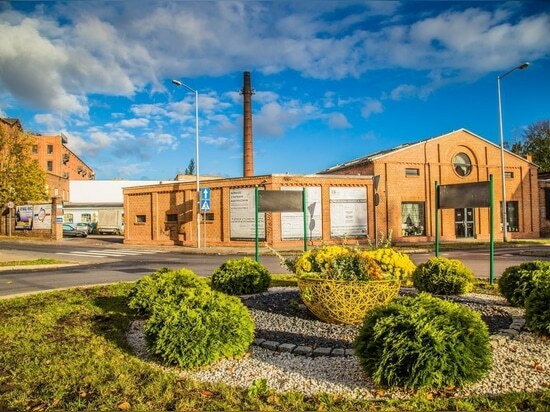 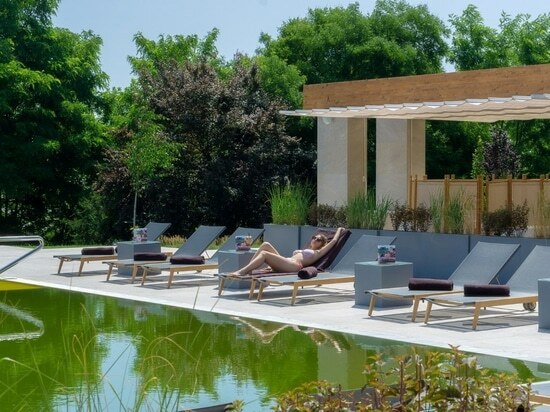 At the beginning, they are the Easter eggs, which open to change into a flower bowl after Easter, in autumn become the container for spruce needles or seasonal flowers and then in winter become urban winter decorations!